The Natural Health International Beauty Awards celebrate the very best natural beauty products, experts and retailers in the natural beauty industry. 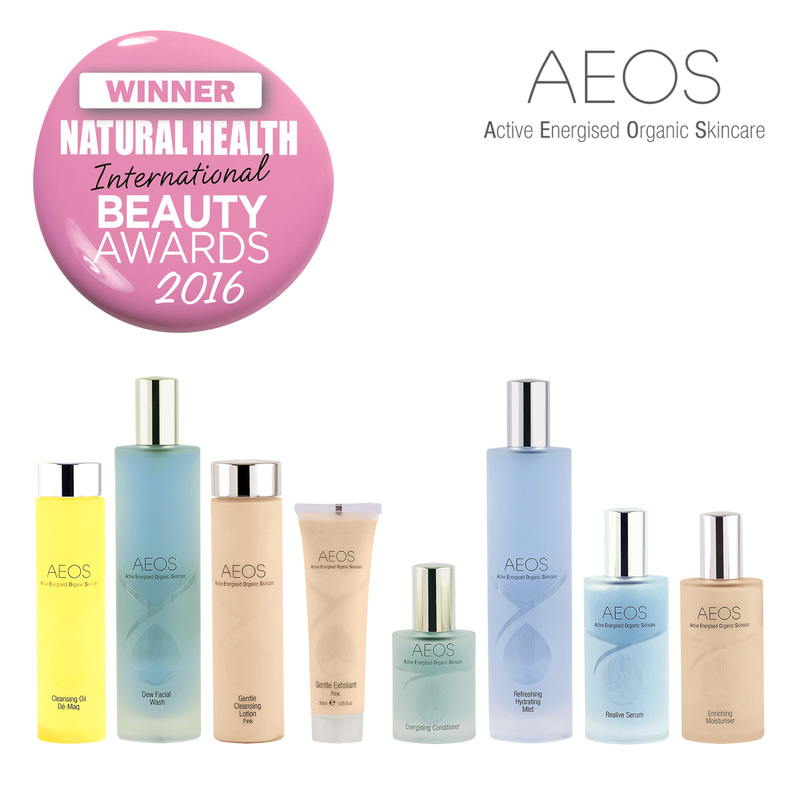 AEOS are thrilled that in the 2016 Natural Health awards they have won the Skincare system award for their three-phase system. AEOS revolutionary three-phase system transforms the way your skin looks, a complete skincare solution that emulaties your skin’s natural function while restoring its equilibrium. With AEOS three phase system you can renew, rebalance and replenish with the power of nature. This year’s Awards will be presented at a special ceremony at the Natural & Organic Products Europe show, London ExCel, on Monday April 18 at 11.30am in the Natural Beauty & Spa Theatre. Promising to be a star-studded affair, the winners will collect their awards from key industry figures, including author and founder of Green & Blacks, Josephine Fairley, beauty guru Janey Lee Grace and green rock goddess Jo Wood. AEOS look forward to accepting their award at the Natural & Organic Products Europe Show at ExCEL on the 18th April 2016.